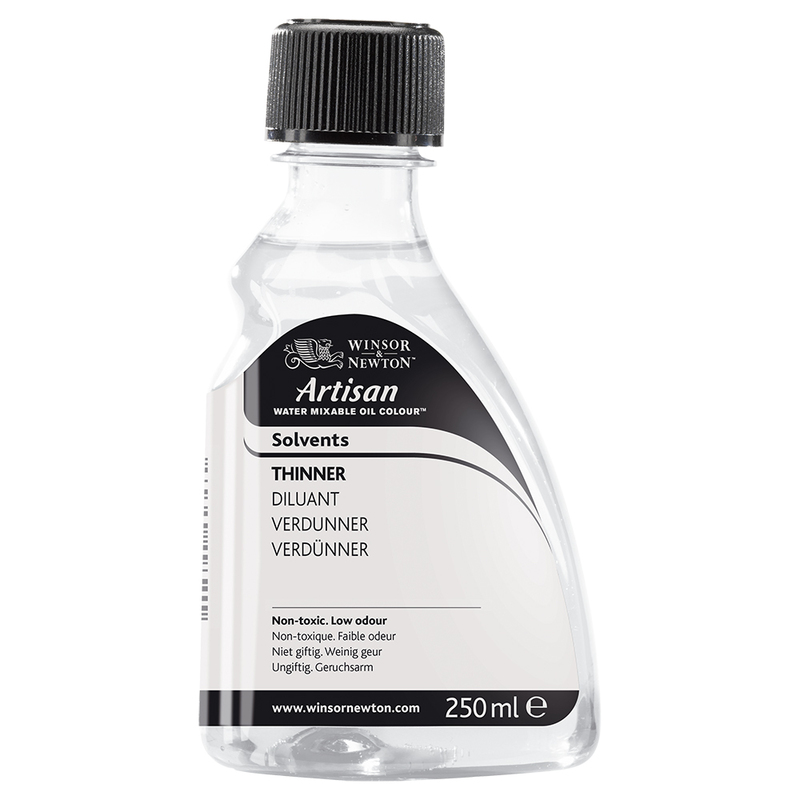 Artisan Water Mixable Oil Colour has a specific Thinner for the range. The purpose of Artisan is to be able to avoid the use of hazardous solvents. Although water is suitable as a diluent for the colour, its speedy evaporation can make the colour thicken upon the palette much quicker than conventional oil colour would when used with turpentine. To help with this we have developed a Thinner to dilute Artisan colours. This can be used instead of water or combined with it. It also provides a more oily consistency which is preferred by some painters and as it does not form an emulsion wth the colour there is less colour change than there would be when using water. 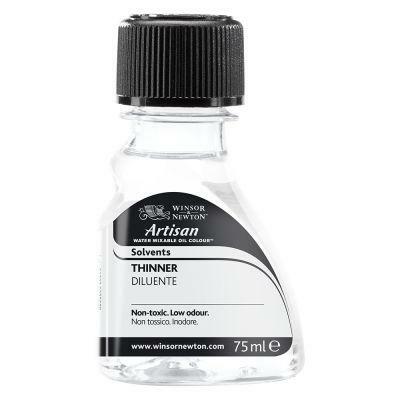 Thinner can be combined with Artisan oils to make your own mediums. To ensure that you avoid over thinning the colour, Thinners should be combined with any Artisan medium for very dilute uses.